In the London premiere of Liz Magic Laser’s Political Therapy workshop, Primal Therapy and meditation techniques will be used to elicit connections and conflate personal experiences with political beliefs. 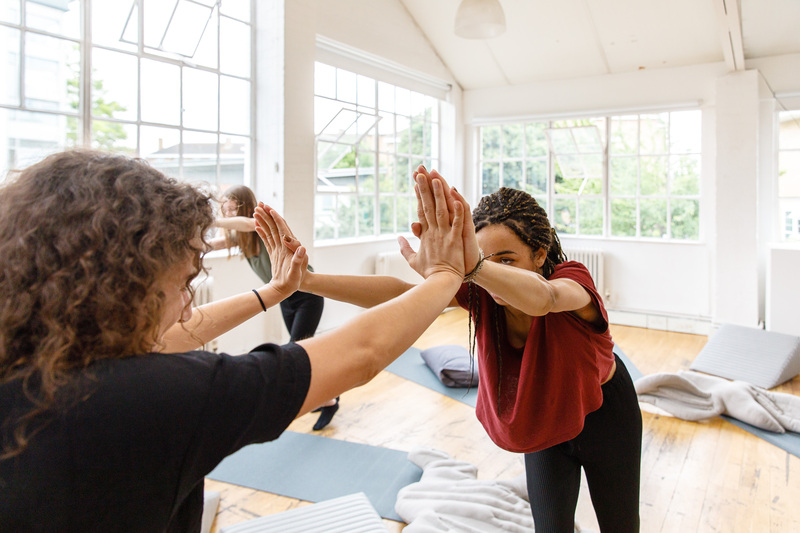 Laser has enlisted drama therapist and actress Louise Platt to guide participants through activities that facilitate the expression of frustrations related to Brexit and other current events. Developed by Arthur Janov in the 1970s, Primal Therapy was a radical approach that involved abreaction, the cathartic re-experiencing of a traumatic event. Laser adapts this palliative method of clarifying emotional expression into effective communication, offering it as a means toward embodied political discourse. Therapeutic props such as pillows and stuffed animals based on political party logos can be hit or embraced in Laser’s version of political Primal Therapy. Similar workshops have taken place at Brooklyn Academy of Music, New York, in advance of the 2016 presidential election and in the UK before Article 50 was initiated at Grand Union, Birmingham. Forthcoming workshops will take place at CAC Brétigny between the first and second round of France’s presidential elections and at Jupiter Artland Foundation, near Edinburgh, where participants will address the debates surrounding Scottish independence. With thanks to Jupiter Artland. Whitney Museum of American Art, New York, the Moscow Museum of Modern Art, the Performa 11 Biennial, New York, and MoMA PS 1, New York. Laser is the recipient of grants from the Alfried Krupp von Bohlen und Halbach Foundation (2013), the Southern Exposure Off-Site Graue Award (2013), New York Foundation for the Arts Fellowship (2012) and the Franklin Furnace Fund for Performance Art (2010). Louise Platt qualified as a drama therapist in 2006 at the Royal Central School of Speech and Drama, after completing the Master’s Degree in the Sesame Approach to Drama & Movement Therapy. She is a clinical supervisor, currently training at the London Centre of Psychodrama. Platt has also been developing a service that specializes in supporting the psychological and emotional wellbeing of professional artists. Prior to and alongside her therapeutic career, Platt is also a theatre maker and performer. She is an associate founding member of the Birmingham-based theatre company The Other Way Works. Platt specializes in interactive and site-specific theatre that draws the audience into the heart of the action – credits include Avon Calling (2009–14), a show performed in audiences’ homes and Black Tonic (2012), a show performed in a working hotel.